Philadelphia Magazine’s headquarters in the iconic Curtis building embodies the publication’s commitment to transparency and community with an open, collaborative, newsroom-style layout. As the region’s premier digital and print publication, Philadelphia Magazine has its finger on the pulse of the city, covering a range of crucial topics both large and small. When it came time to relocate their headquarters, leaders of the magazine sought a space that would complement their innovative brand identity. The magazine relocated their headquarters to The Curtis; an iconic building during the publishing era. 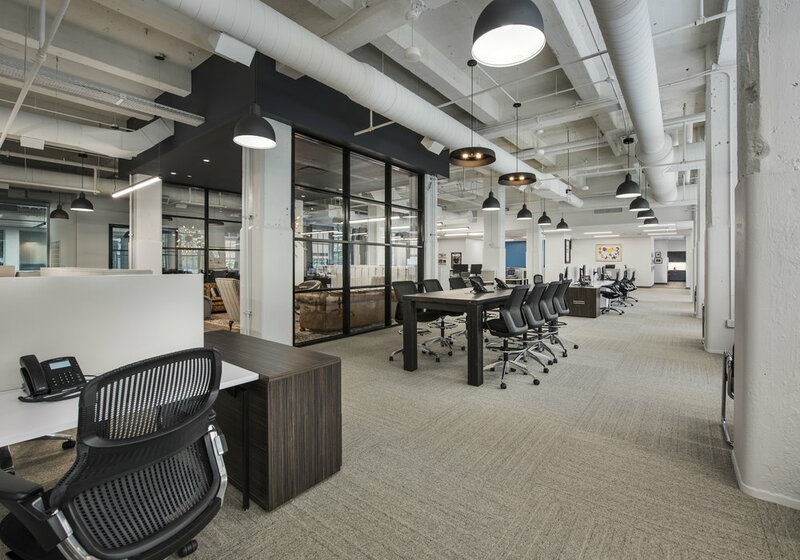 The goal for the new workplace was to re-energize the organization by creating a transparent and highly collaborative ‘newsroom’ atmosphere. 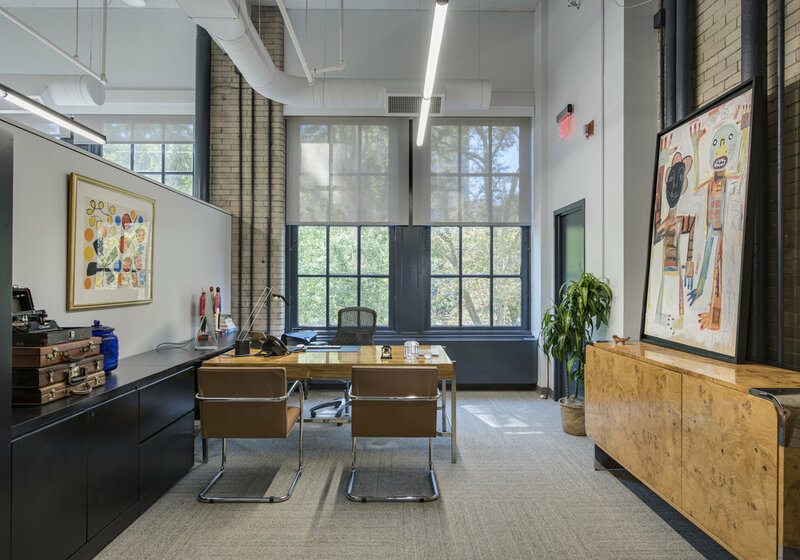 The open office environment takes advantage of the high volume and architectural details of the historic building offering treetop views of Washington Square. The space blends structural elements composed of both glass and concrete to give the space a classic-meets-contemporary vibe. 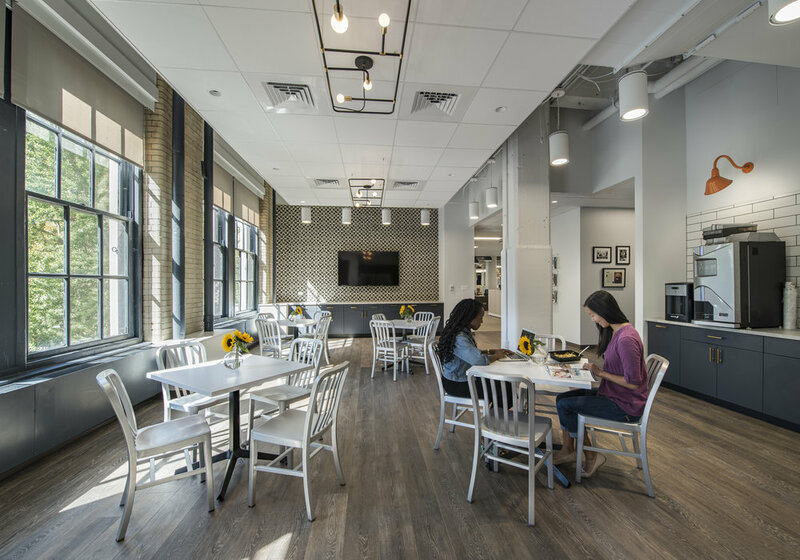 With ample access to technological tools and modern amenities, everything from the reception area to the in-office café promotes collaboration and provides space for flexible meetings. 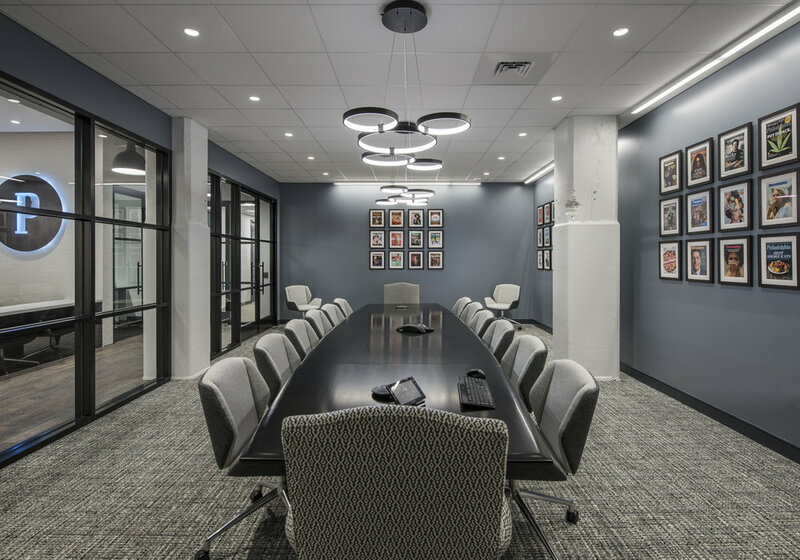 Philly Mag’s Washington Square-based office is a striking homage to the city itself—custom graphics and colorful murals adorn the walls, and historic magazine covers and articles about the organization’s rich history can be found hanging in the boardroom. The café also features a visual tribute to the magazine’s “Best of Philly” annual awards. Photography by Jay Greene Photography.